Can you rely on a single loudspeaker in your living room for great sound throughout your home? In the same way, you can not expect a single WiFi router to provide stable range throughout your home. To solve this issue, Google will soon power your home’s wireless internet network with its own-brand new WiFi router called Google WiFi, according to a new report. Google is set to launch a lot of new gadgets at its hardware event on October 4 including the new Pixel smartphones, Google Home, the refreshed 4K-capable Chromecast rumored to be called Chromecast Ultra and the new Google WiFi router. But the Google WiFi router might be the biggest surprise of the bunch. Google WiFi is said to be designed in such a way that it can be deployed in groups to create a mesh network so that multiple units can be linked together, similar to Eero’s incredible router, according to a report from Android Police. 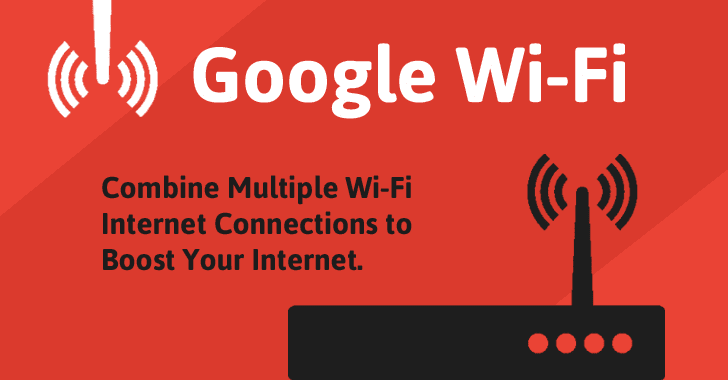 With Google WiFi, you simply need to plug one device into your modem, and other routers placed in different rooms will automatically connect to each other to create a single big wireless mesh network that covers every corner of your home. Google WiFi will cost you $129 (INR 8600) each, according to the report. The router is apparently going to have the same selling points as Google’s OnHub router, including better range than most everyday routers and a slew of "smart" features. Only the one significant advantage over OnHub is that Google WiFi will offer the ability to link several routers together to create one big wireless network. According to a separate report from DroidLife, each Google WiFi unit will have dual-band antennas with two ports, 802.15.4 radios, AC1200 speeds, and Bluetooth. The setup process of the router is expected to be simplified so that it is ready to use in minutes. Google did not yet comment on the matter. For details about the device, you need to wait for two more weeks.